Are your negative thoughts about your body keeping you from enjoying life? ​Do you hate what you see when you look in the mirror? Are you sick and tired of obsessing about your body? 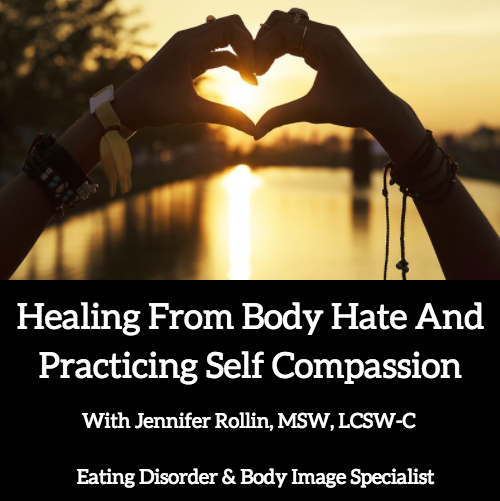 This webinar will help you to learn valuable tools and skills for coping with, and ultimately overcoming negative body image. It will also talk about skills for practicing self-compassion. For $115 you receive a copy of the 54 minute webinar, two handouts, and two worksheets.